What is the Design Lab? Real-world capstone design experiences that integrate multidisciplinary engineering design solutions and deliver results. The O.T. Swanson Multidisciplinary Design Laboratory (a.k.a. 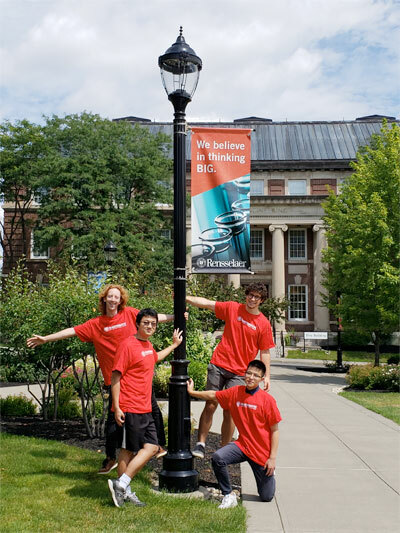 the Design Lab) at Rensselaer provides clinical real-world experiences for students that build confidence and teaches integration of discipline-specific knowledge with engineering practice on challenging multidisciplinary design projects. The Design Lab process provides a capstone experience intended to prepare students to enter the workforce. The projects are open-ended, technically challenging design challenges that encompass a broad array of important contemporary issues. In addition to identifying an important problem, sponsors provide a significant grant and interact directly with the students, faculty and staff who work to provide design solutions.